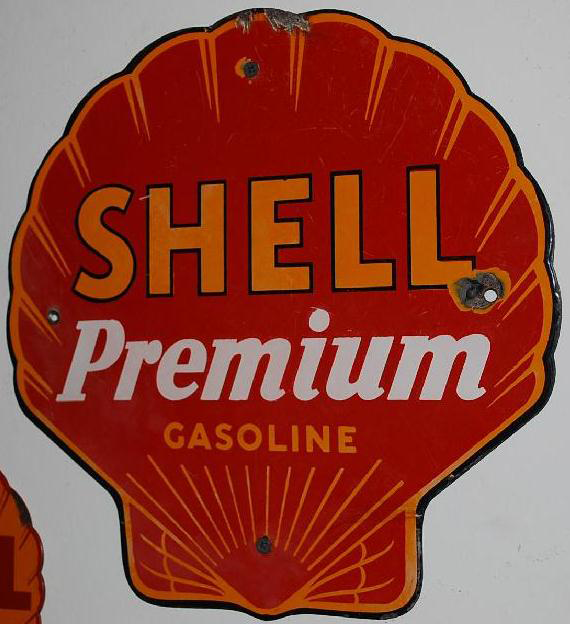 This is a die-cut Shell Premium Gasoline porcelain sign. This particular Shell Premium Gasoline sign is predominantly red with yellow and white print. It reads, “Shell Premium Gasoline” and is shaped like a sea shell.